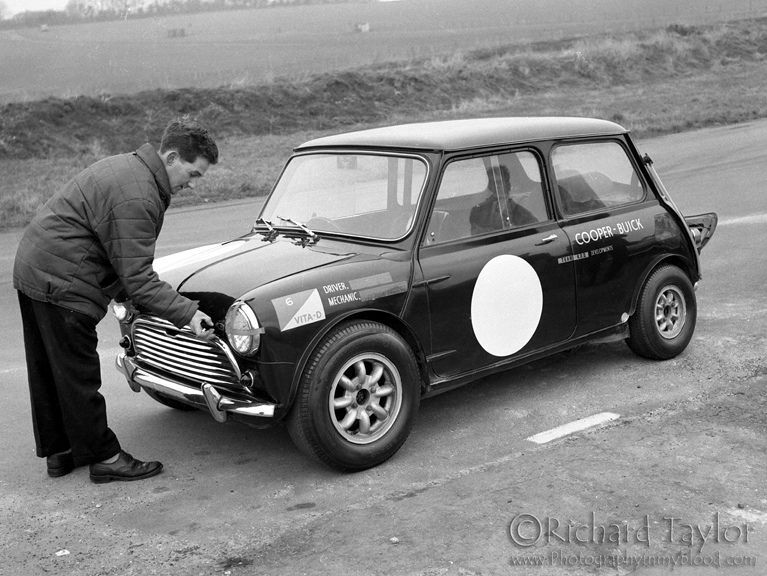 Photos below of the Coldwell Mini from the Mk1 Mini Action day at Blyton last weekend! 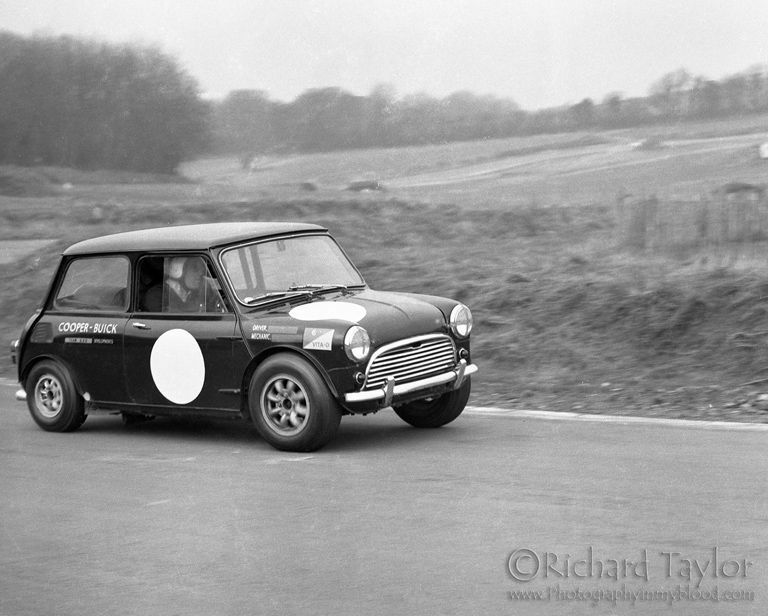 Couple of nice period photos of Mini racer Simon Ridge in the early days at Brands Hatch (around 1966-67) when he was running his own Free Formula car and before the heady days of sponsorship! 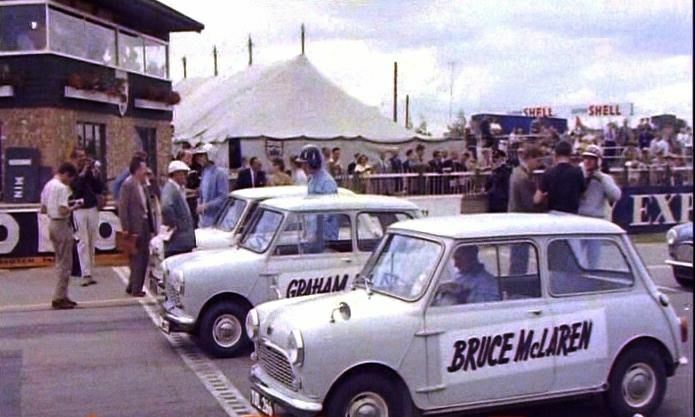 He later drove for Automex & D J Bond. Last edited by mab01UK; 28 Oct 2016 at 18:37. 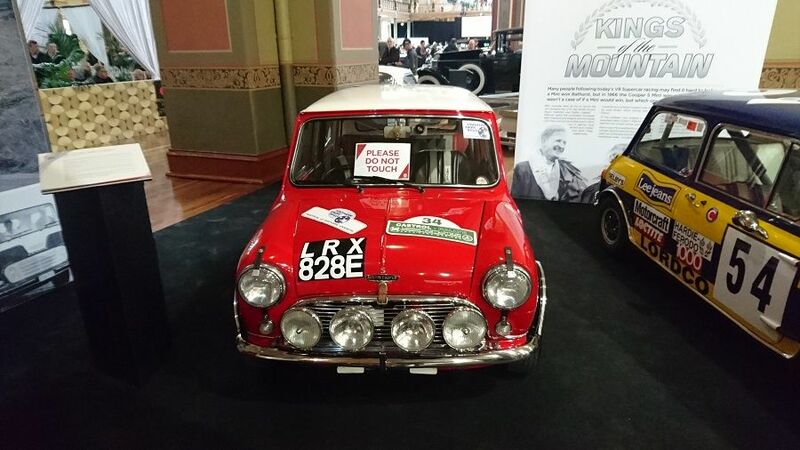 In circa 1970/1, I had the distinct pleasure of driving Rauno Aaltonen's Monte winning Cooper s.
My then local main agent'sidentified we were the largest local trade buyer of Abingdon Special Tuning bits, and since the Stores Manager had Aaltonen's car for a show week, ran it around in his lunch hour. 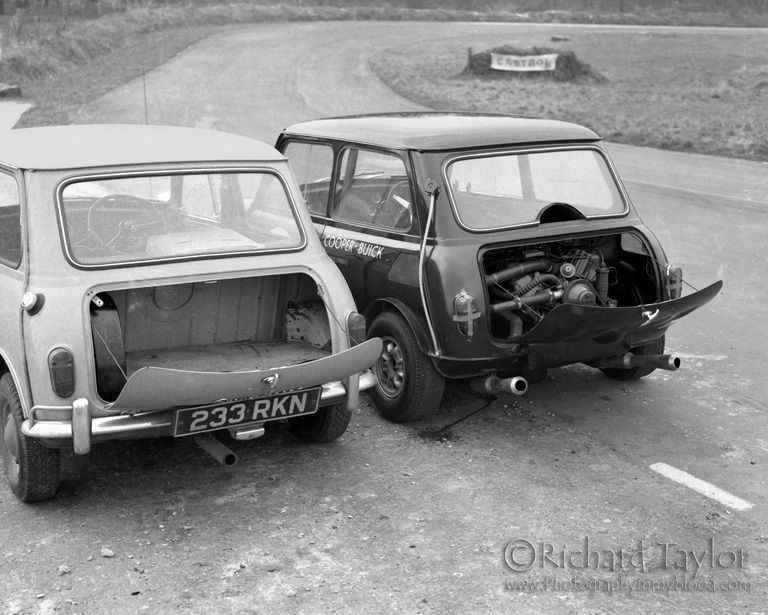 Naturally all my mechs were over it like wasps around a jampot! 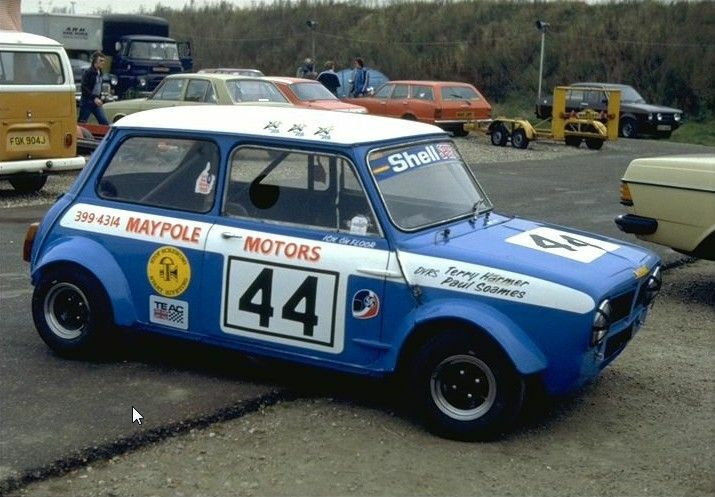 (At the time, we built, tuned, maintained and refettled many Cooper s race, rally, autocross and road cars and competed in all those classes, too). 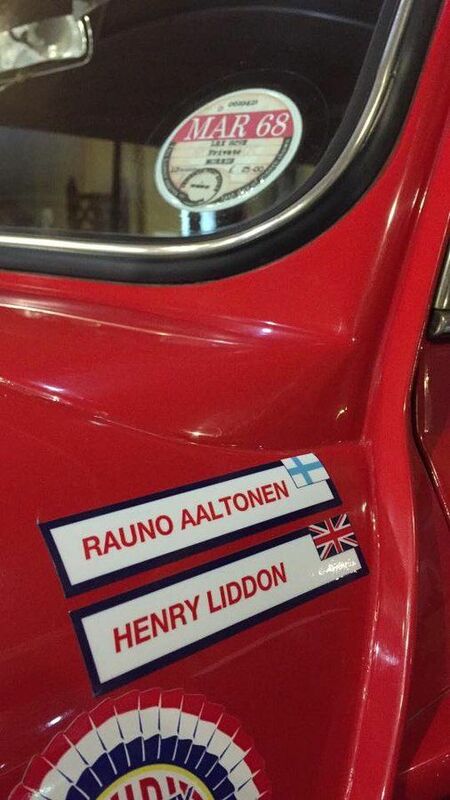 I quite forget the guy's wife, sitting docilely in the front passenger seat. She wasn't quite so calm when we returned: rather white faced... I still sometimes feel guilty about that. 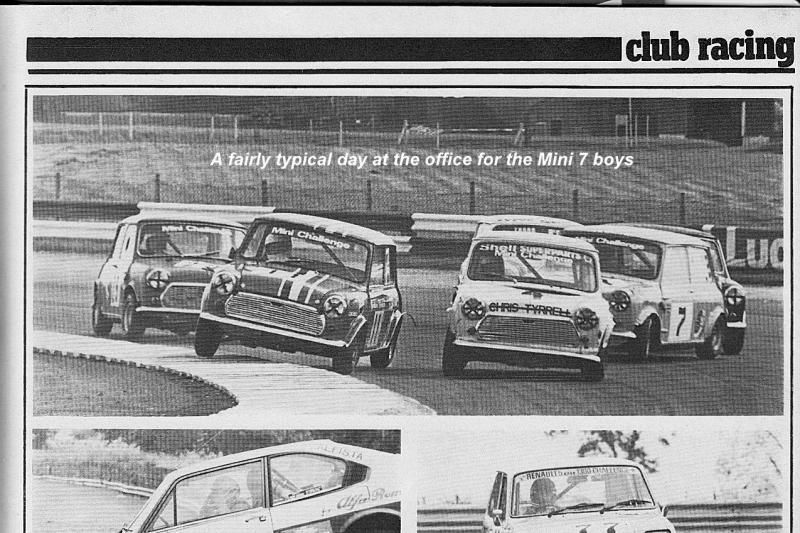 Not often though! 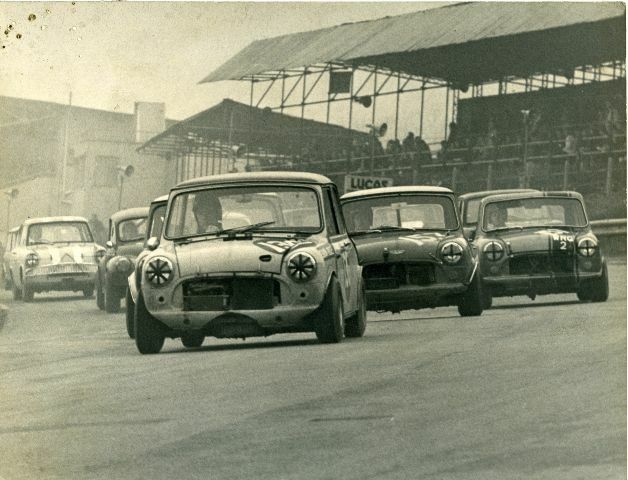 Standard works spec car: 1293 c.c. 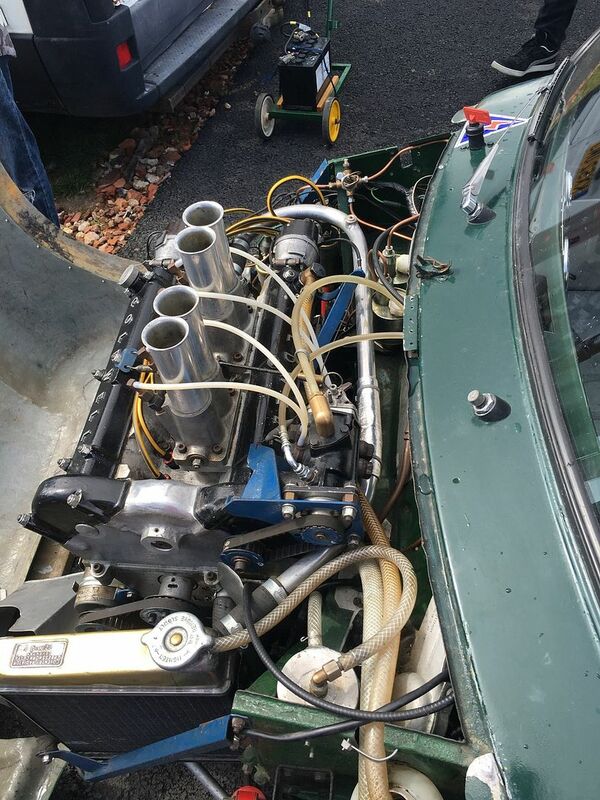 over-bore; 649 full race cam (993 c.c. 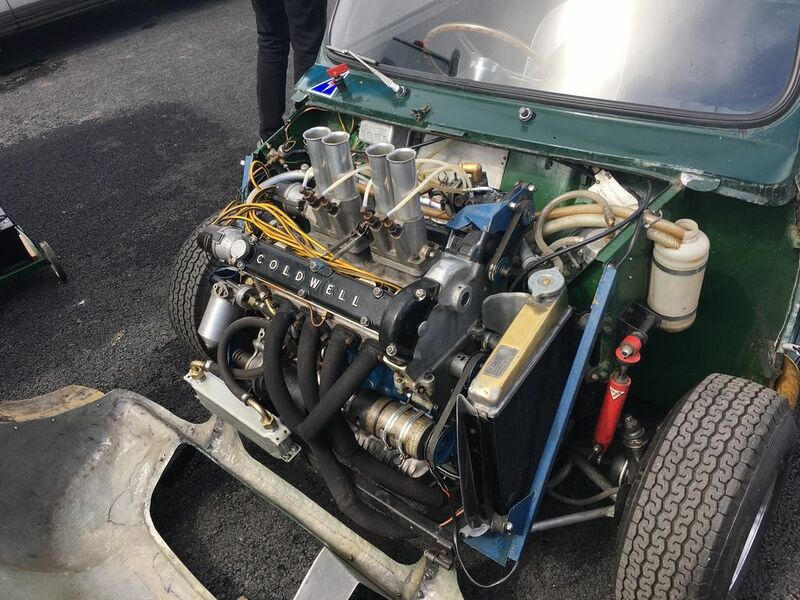 F3 XSP engine); twin 1 1/2" SUs (Weber not homologated); beefed up alternator; free flow fabricated exhaust; Dural Sump Shield; Hydrolastic suspension, plus front shocks; full balance and lightened; straight cut transfer gears and close ratio box plus Salisbury LSD. 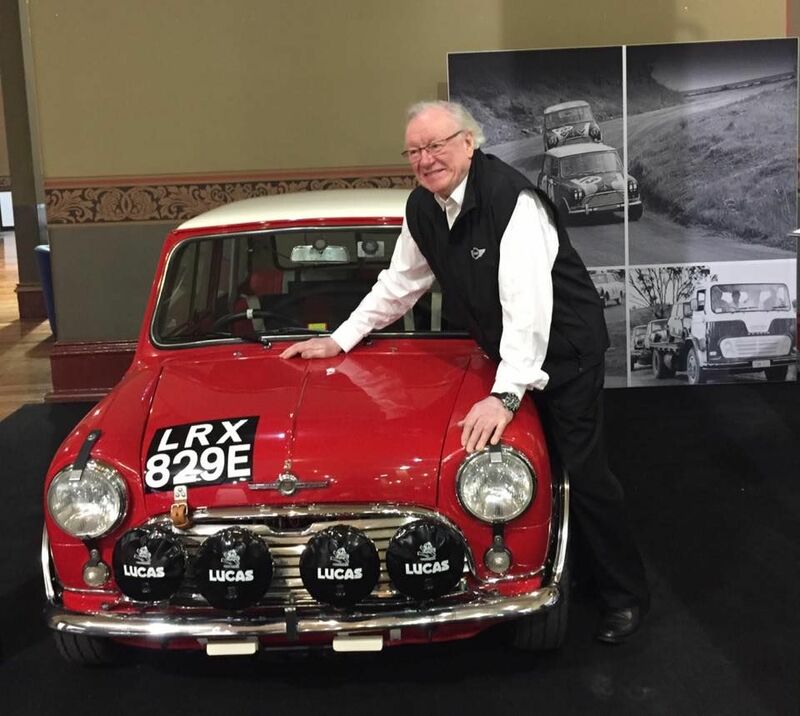 Rauno Aaltonnen at the Motor Classica 2016 in Melbourne with his Works Mini. 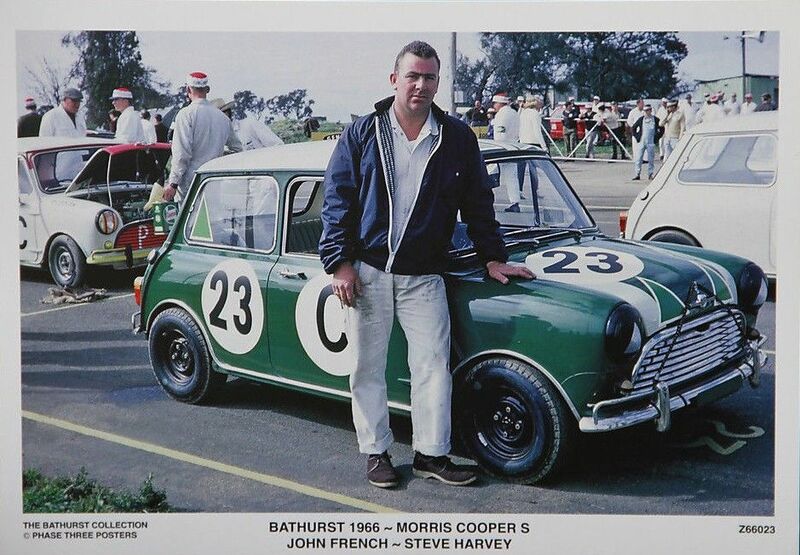 "On 26th January 1963 Bruce won the Teretonga International race in the South Island of New Zealand in a Cooper F1 car, and thrilled spectators by some extraordinary drives with the Mini Cooper Number #47, in supporting saloon car races. 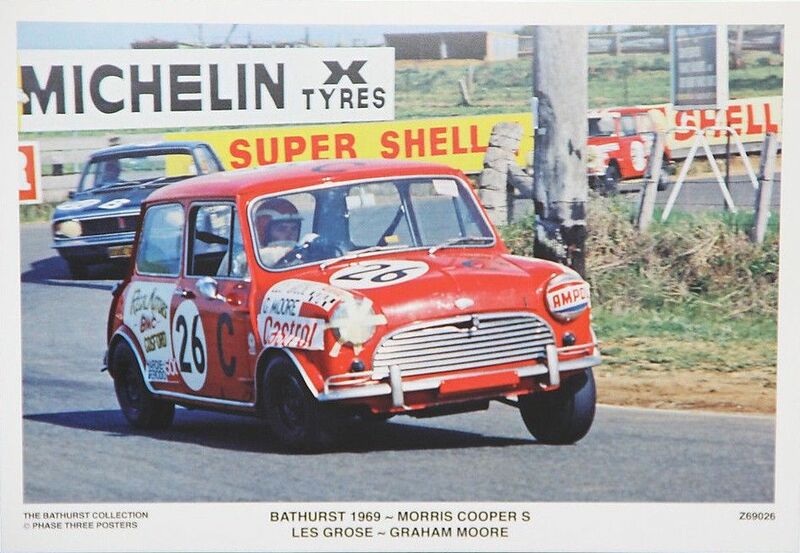 At this meeting Bruce was doing some exploratory laps in this Mini with Innes Ireland in the passenger seat when the car lost a right front wheel and ended up in the sand hills at the side of the track." 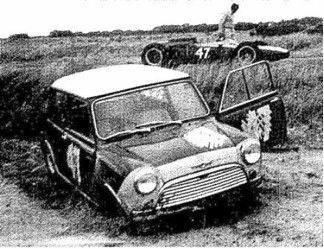 Bruce McLaren standing by his F1 Cooper looking at his stranded Mini Cooper at Teretonga 1963. Last edited by mab01UK; 31 Oct 2016 at 22:35. Last edited by JTL392; 3 Nov 2016 at 17:36. 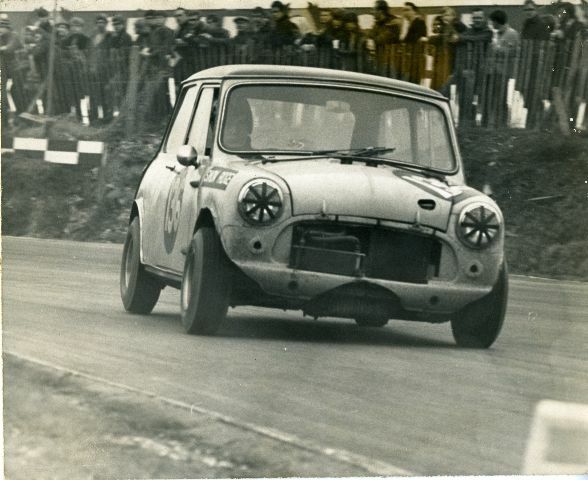 Did the Mini Buick ever actually race? I can't remember. 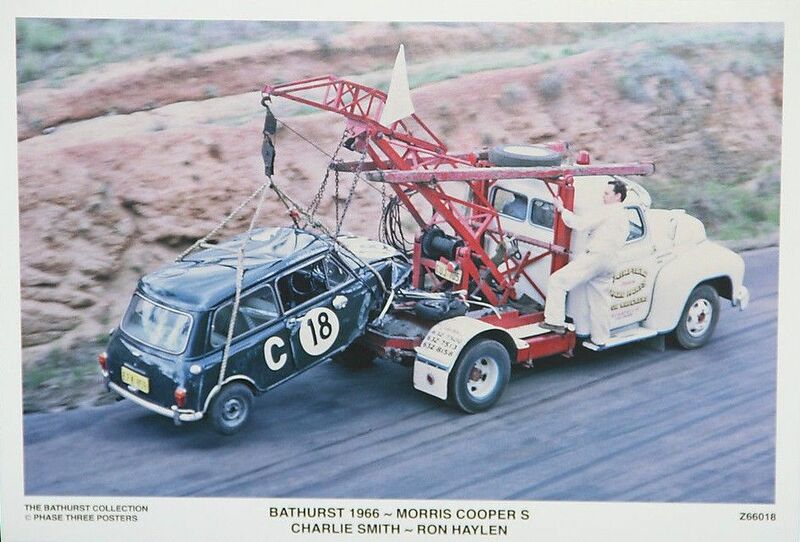 Thanks for posting the link, some of the interesting old photos below!